What Are the Challenges Faced by the Expanded B20 Biodiesel Program? On 1 September 2018 the expanded B20 biodiesel program was launched. It means that the government of Indonesia requires all diesel fuel that is used within the country to contain biodiesel (with a 20 percent amount of bio-content, typically fatty acid methyl ester [FAME] that is derived from palm oil). This program will boost domestic palm oil consumption (which is important because palm oil exports are currently not doing too great amid low prices and anti-palm oil campaigns in various western countries), but more importantly the program aims to slash imports of fuel, hence encouraging a narrower current account deficit and a stronger rupiah. Meanwhile, the program also aims at reducing carbon emissions. Indonesia’s biodiesel roadmap exists since 2008. However, it leaves many details up to new regulations. The original B20 biodiesel program was implemented in 2016 (as successor of the B10 and B15 biodiesel programs). However, this original program only made it mandatory for public service operators in the transportation sector to use diesel with a 20 percent bio-content. These operators only used subsidized diesel. The expanded B20 biodiesel program, however, makes it mandatory for all diesel fuel in the country (whether subsidized or not) to be blended with 20 percent bio-content. The Indonesian government decided to speed up the implementation of the expanded B20 biodiesel program after heavy external pressures – particularly monetary tightening in the USA and simmering trade tensions led by troubled relations between the USA and China - resulted in significant capital outflows from Indonesia. This then put heavy pressure on the rupiah rate which has now passed beyond the IDR 15,000 per US dollar level, a sensitive psychological boundary for most Indonesians. 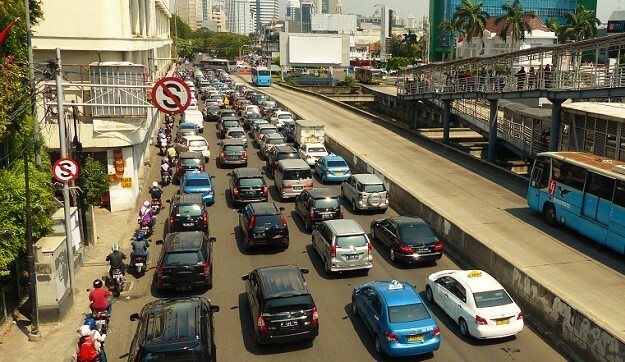 Meanwhile, imports of fuel put a big burden on Indonesia’s trade balance and current account balance (which also put depreciating pressures on the rupiah) and therefore the government is eager to curtail fuel imports. Indonesia currently imports about 350,000 barrels of crude oil per day as well as a similar amount of refined products. Therefore, rising crude oil prices are a major problem (and while Indonesia indeed also exports oil, it is still a net oil importer).